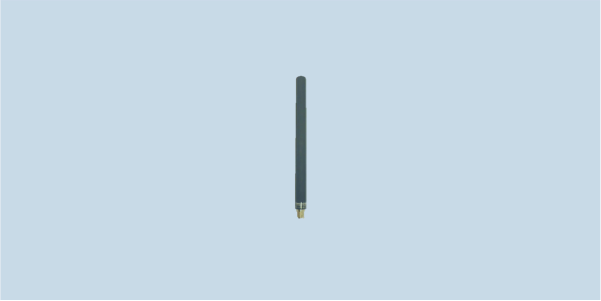 OMNI-A0108 is a high-gain 4-5 dBi, 2.3-2.7 GHz WLAN manpack or mobile antenna for counter-RCIED and long-range communications applications up to 20W. OMNI-A0108 has a high-gain omni-directional azimuth pattern with a low level of ripple to ensure all-round protection and an elevation pattern that shows no pattern break-up. OMNI-A0108 utilizes a co-linear dipole array radiator with integrated balun, making it groundplane independent. The radiator is mounted in the top half of the radome to mitigate radiation hazard when used on a manpack. This rugged antenna is rated for 20 W continuous duty power handling. For use on a vehicle, pair it with MISC-A0051 magnetic mount.